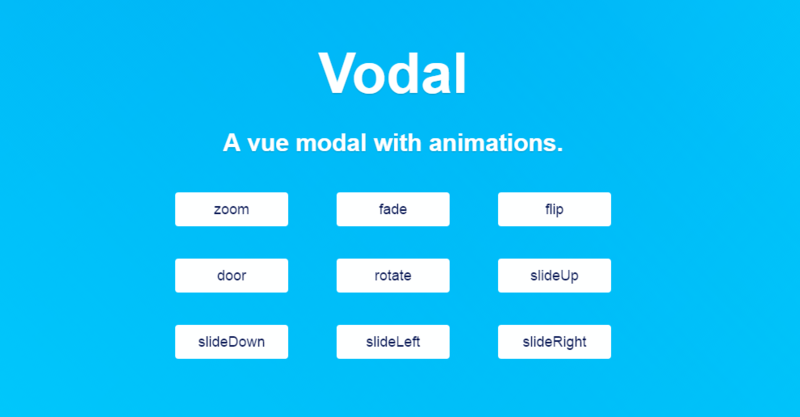 Vodal is providing modals for your apps with many animation styles. It is based on a React project, with similar functionality though easier implementation. 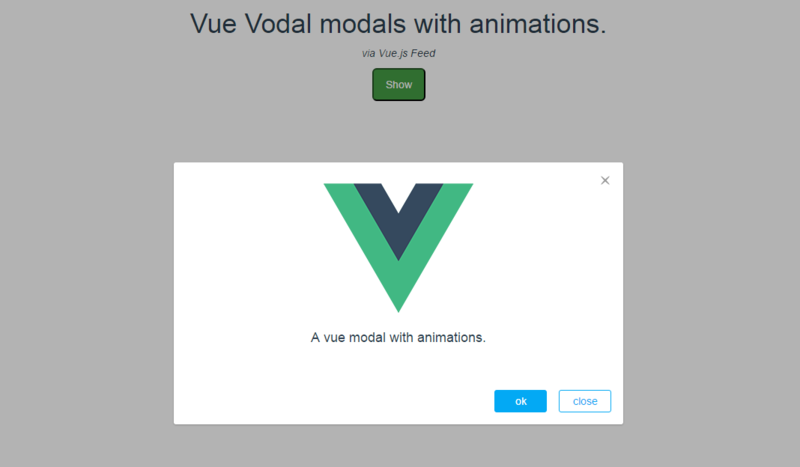 You can see modals with different animations on the Demo page and the code is available on GitHub.